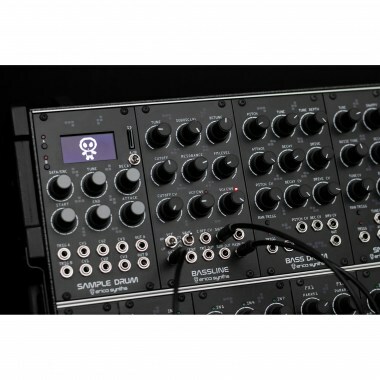 Erica Synths Bassline is fully analogue synth voice module for ultimate basslines and leads. 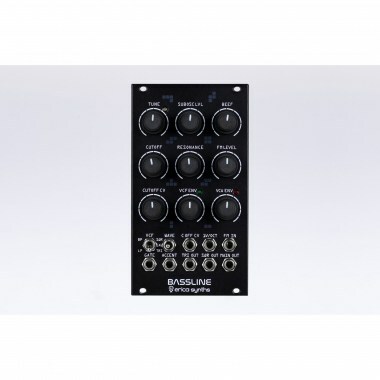 It features AS3340 VCO with three waveforms, a filter inspired by Erica Synths Acidbox and unique features - transistor based suboscillator and two BBD lines that emulate VCO detune creating a sound of massive polysynth from one oscillator. Accent provides more expression to the bassline, by adding volume and opening the VCF slightly. Eurorack модули Erica Synths Bassline Вы можете купить по выгодной цене в наших музыкальных магазинах в Москве и Санкт-Петербурге, интернет-магазин, доставка по России.